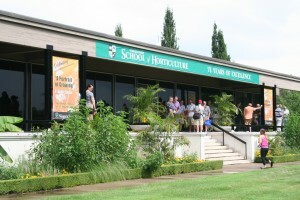 This school, unique in Canada sits on 100-acres (40 hectares) along the Niagara Parkway in Niagara Falls, Ontario and has been the living, teaching campus for more than 600 graduates who now are spread out in parks departments, golf courses, greenhouses and nurseries across Canada and around the globe. In August, the largest ever gathering of graduates returned to Niagara to celebrate the 75th anniversary of the School of Horticulture. A round of golf, school grounds tours, bbq and lots of alumni stories led to many renewed and new acquaintances during the three-day event. A beautiful waypoint at the Botanical Gardens, the rose garden fountain. How did the school get started? July 10, 1935 was a significant day in the birth of what was to become the Niagara Parks Commission Training School for Apprentice Gardeners. This was the day that the Niagara Parks Commission approved engaging Knut Mattias (K.M.) Broman, a Swedish born, trained landscape architect as a landscape gardener for a period of two years. 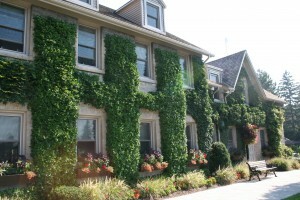 The Niagara Parks Commission School of Horticulture student residence as seen in present day, formerly called The Bothy. It is the opinion of The Niagara Parks Commission that expert gardeners should be trained under the direction of the Commission as there is no proper Training School in the province… It is agreed by the Commission that a number of apprentices (not to exceed eight for the present) be engaged to work in the park under the supervision of Mr. Broman, who is to lay out a course. The old stone house at the Niagara Glen owned by the Commission (known as the old Murray House) is to be prepared as a bothy for the boys during the summer season. In the winter season it is suggested that the boys be housed in the Help’s Quarters of the Park Restaurant. Until other plans are arranged the boys are to be fed at the Park Restaurant. School of Horticulture Students are required to tend a vegetable garden plot during their second year. 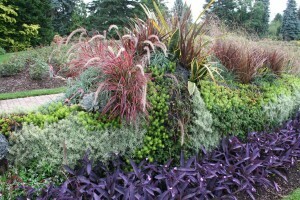 The result is innovation, great horticulture, and lots of creativity! These are some of the guidelines for the first class of gardeners as they arrived at what is now the Niagara Parks Commission School of Horticulture. And after 600 graduates, 2011 saw an unprecedented gathering of alumni and celebration as the little apprenticeship-style school, along the Niagara Parkway and across from the Niagara Glen, that trained students during a 36 month curriculum turned 75 years old. The School is run by The Niagara Parks Commission, an Operational Enterprise of the Government of Ontario, that has been charged with managing the land, buildings, and facilities along the Niagara River from Lake Ontario to Lake Erie since 1887 in a completely self-funding manner – without taking any taxpayer dollars. 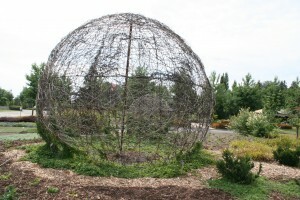 A living sculpture of a dragon, designed, created and maintained by students at the School of Horticulture greets visitors at the entrance to the rose garden during the summer of 2011. In the book, Garden School Days, Memoirs from the Early Years (1936-1950) Roland Barnsley and William Snowden, former Superintendents of the School of Horticulture, describe the early thirties in Canada as a time of low morale with a deep economic depression and the somber realization that the great surge of optimism following World War I had shriveled to a very dim and bleak outlook for the country (and world). The need for job creation was a priority. The fortuitous arrival of a chairman (T.B. McQuesten) with enormous vision was a contributing factor to the launching of the School in 1936. 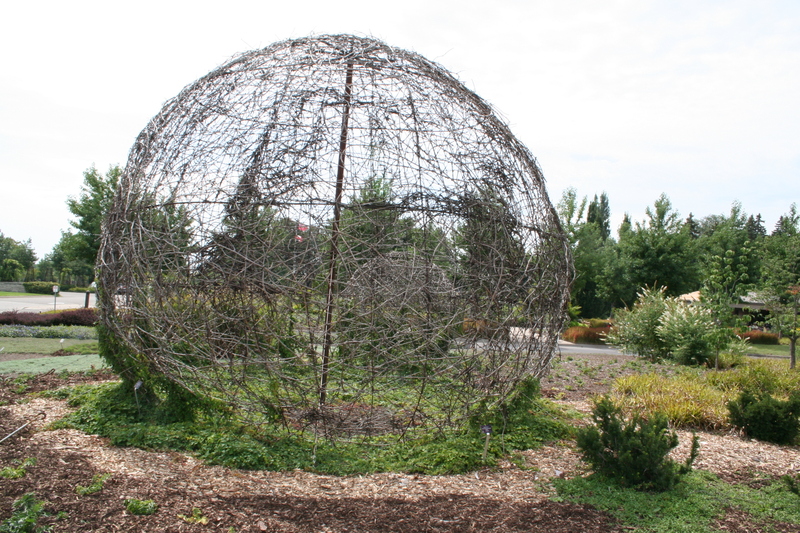 A giant grape vine globe makes a dramatic statement in the entrance garden at the Niagara Parks Botanical Garden and School of Horticulture. 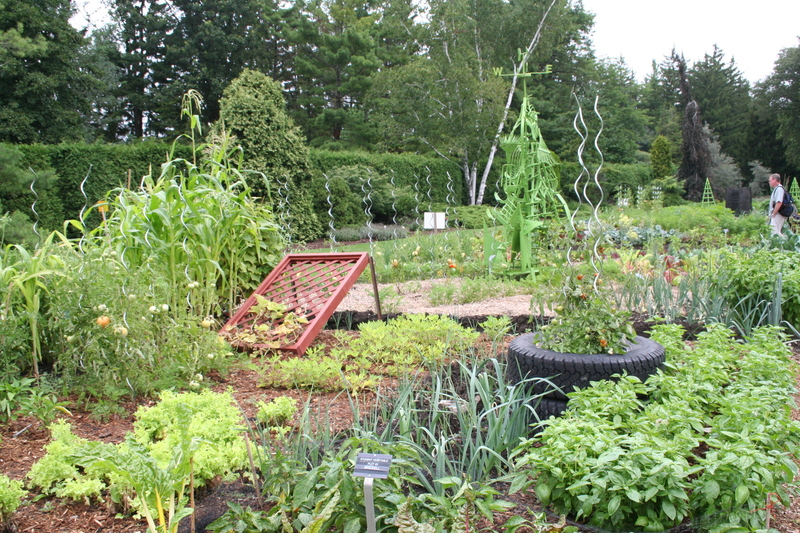 Changing a 100-acre derelict farm into a school of gardening almost overnight was a mighty task that started with K.M. Broman’s trip to Holland in 1936 to order virtually every plant that he could find that might survive in Niagara. His source was the great Dutch nursery, F.J. Grootendorst & Sons in Boskoop. The shipment would turn out to be the largest single shipment of nursery stock ever shipped from Holland up to that date. 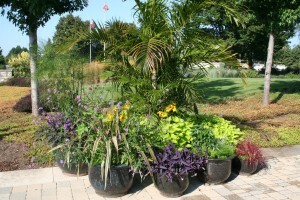 Most of the plants were dug from the nursery beds in the spring during January to March and then shipped to the east coast of Canada in April of 1937. From there they travelled by train to Niagara Falls in May. Despite a two month journey, most were in good condition and after being inspected were planted in long nursery rows in their new home. Many would stay in this temporary nursery that stretched north and south from the entrance road for the School for another 18 months before permanent locations were provided. It is the plants in this Grootendorst shipment that still forms the backbone and many of the most cherished plants on the School grounds even after 75 years. 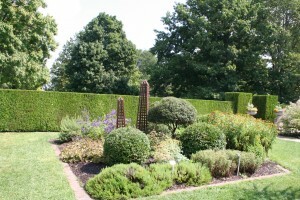 It is the spruce vista and hornbeam allée, oriental cedar hedge that surrounds the herb garden, beech hedges opposite the student residence and collection of sycamore maples that feature most prominently from this original 1937 planting. Surrounded by clipped oriental cedar hedges that were part of the 1937 plant shipment from Holland, the herb garden at the Niagara Parks Botanical Garden and School of Horticulture is full of fascinating plants to discover. Celebrating the “blue and gold,” the colours of the NPC School of Horticulture, the annual flowers in the rose garden really add a festive spirit to the 75th anniversary celebrations themselves. Over the years, there have been many changes; the former Murray farmhouse is greatly expanded and not the school residence as well as the addition of a new lecture hall, library and administration building built in 1961, women were first admitted into the program in 1973, and in 1996, North America’s largest butterfly conservatory opened on the grounds. 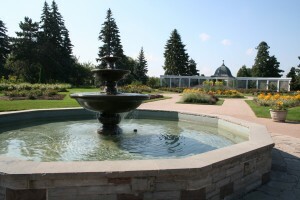 The name became the School of Horticulture (dropping the apprentice gardener’s moniker) in 1959 and the school campus officially became the Niagara Parks Botanical Gardens in 1990. Many garden changes have occurred on the 100 acres over 75 years with many more planned as well. Exciting new landscapes have been developed, stone walls and paths built, irrigation systems installed, new ponds and plant collections added – all giving valuable, year-round, “real world” experiences to the first, second and third year students as part of their practical horticulture training. 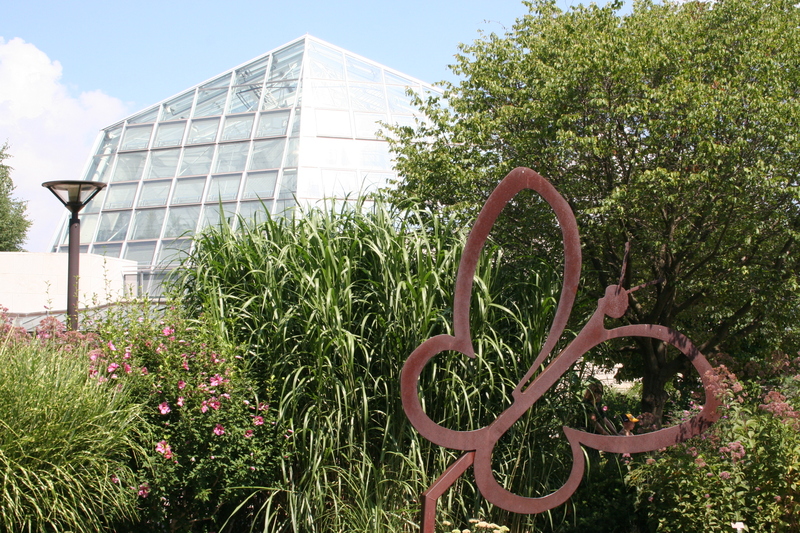 Located at the Niagara Parks Botanical Garden, the Butterfly Conservatory features over 2,000 tropical butterflies flying freely in an enclosed rainforest garden. 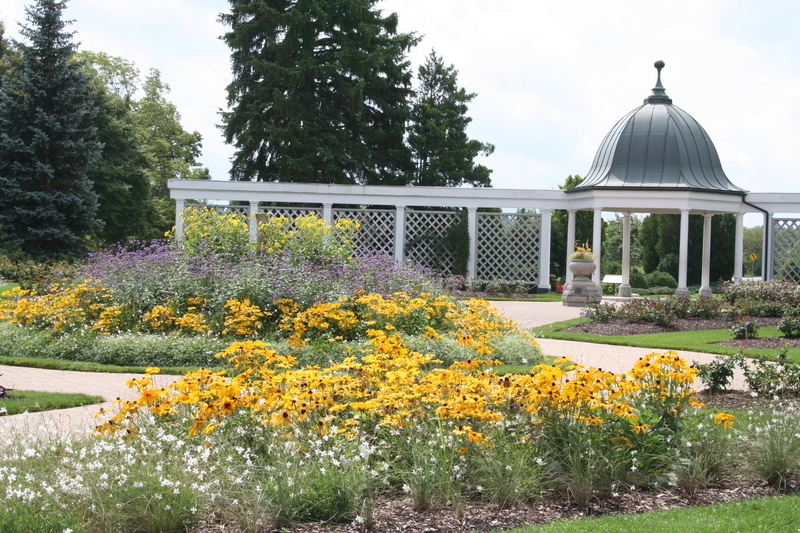 The Botanical Gardens is free of charge, and open seven days a week from dawn to dusk. There is a charge for parking and the Butterfly Conservatory.